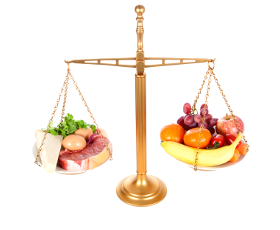 Balanced diet is composed of proteins, fats and carbohydrates. Cathy Catering DIET’s balanced diet provides you every nutrient needed to growth, producing energy and repair processes. It is full of minerals, vitamins and roughage, and is prepared based on our dieticians knowledge. Balanced diet is consisted of every kind of products, but in appropriate proportions. There are no disadvantages of this diet, and it is the base of rational nutrition.